Staff Sgt. 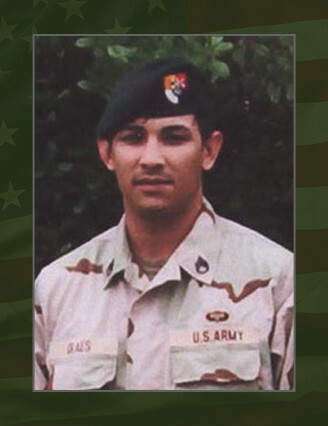 Tony B. Olaes, 30, was a Special Forces medical sergeant assigned to 2nd Battalion, 3rd Special Forces Group (Airborne) at Fort Bragg, N.C. He was killed in action while supporting Operation Enduring Freedom on Sept. 20, 2004, during a combat patrol near the town of Shkin in Afghanistan’s Paktika province when his vehicle came under fire from enemy forces. A native of Walhalla, S.C., Olaes enlisted in the South Carolina Army National Guard in 1992 and trained to be a man-portable air-defense system crewmember. He left the military in May 1998 and in 1999 he re-entered the Army on active duty. Olaes trained at Fort Jackson, S.C., to be a multi-channel transmissions system operator-maintainer as was assigned to the 35th Signal Brigade (Airborne) at Fort Bragg. He graduated from the Special Forces Qualification Course in 2001 and was then assigned to the 3rd SFG. Olaes’ military education includes the Special Forces Qualification Course, Advanced Special Operations Techniques Course, Jumpmaster Course, Basic Noncommissioned Officer Course and the Basic Airborne Course. Olaes’ awards and decorations include the Bronze Star Medal, Purple Heart, Army Commendation Medal, Army Achievement Medal, Army Good Conduct Medal, National Defense Service Medal, Global War on Terrorism Expeditionary Medal, Global War on Terrorism Service Medal, Humanitarian Service Medal, Noncommissioned Officer Professional Development Ribbon, Army Service Ribbon, the Combat Medical Badge, Parachutist Badge and the Special Forces Tab. Olaes is survived by his wife, Tammy, and their children, Maverick, McKenzie and Alec.